A charity has warned that the UK is heading for a "public health disaster" as the number of people with Type 2 diabetes is expected to surge to 5 million by 2025. Diabetes UK claims not enough is being done to prevent the condition, something which is putting "huge strain" on the NHS. A total of 3.8 million people nationwide currently suffer from Type 2 diabetes, although researchers say some do not realise how serious it can be. The charity states less than a third of the population realise the condition can lead to serious health complications such as amputation, heart attack, blindness and stroke, while a number of sufferers are not taking it seriously enough or making the right lifestyle changes. It roughly accounts for 85% of diabetes sufferers, but it can be treated with exercise and an improved diet. 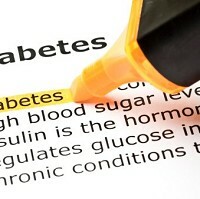 People with Type 2 diabetes should plan their travel and holidays in advance and seek advice wherever necessary. Diet, exercise and medication are all key factors that should be considered, while taking out pre-existing medical travel insurance before jetting off is advised for added peace of mind. To help raise awareness, Diabetes UK has launched a national campaign to have the risk of Type 2 diabetes assessed. "This survey makes it clear that most people do not understand the potential consequences of developing it and I worry that until we finally lay to rest the myth that Type 2 diabetes is a mild condition, it will continue to be seen as something that is not worth being concerned about," said Barbara Young, chief executive of the charity. "This is a misconception that is wrecking lives and is the reason that as a country we are sleepwalking towards a public health disaster of an almost unimaginable scale."